Short + sweet bio: Kate Schatz (pronounced ‘Shots’) is the New York Times-bestselling author of Rad American Women A-Z, Rad Women Worldwide, Rad Girls Can, and the illustrated journal My Rad Life. She’s a writer, activist, public speaker, and educator, who’s been passionate about both writing and politics since she was a kid. She’s a co-founder of Solidarity Sundays, a nationwide network of feminist activist groups, and she lives with her kids, cats, and partner on the island of Alameda. Shorter bio that kids will actually care about: Kate Schatz (pronounced ‘Shots’) really like to write! 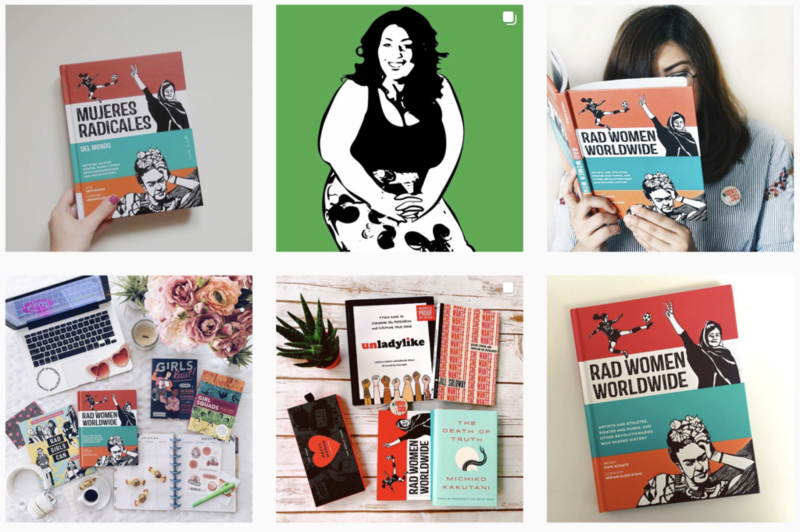 She is the New York Times-bestselling author of Rad American Women A-Z, Rad Women Worldwide, Rad Girls Can, and the illustrated journal My Rad Life. Kate wrote her first book when she was in 2nd grade—it was about her annoying little sister. She’s been writing stories, poems, articles, and essays ever since then. She has two kids and three cats and her favorite foods are carrots, pizza, strawberries, and fresh guacamole. It’s basically impossible for her to name her favorite children’s book, but if you really insist, she’ll probably say Charlotte’s Web. Or Frog and Toad Are Friends. Or maybe Harriet the Spy. Or Superfudge. Wait, what about Nancy Drew? And Harry Potter? Nevermind. Next question, please. Longer fancy-pants bio: Kate Schatz (pronounced ‘Shots’) is the New York Times-bestselling author of Rad American Women A-Z, Rad Women Worldwide, Rad Girls Can, and the illustrated journal My Rad Life. She’s a writer, public speaker, educator, and left-handed vegetarian Bay Area-born-and-bred feminist activist mama. Her book of fiction, Rid of Me: A Story, was published in 2006 as part of the acclaimed 33 1/3 series, and her essay “Dear White People” appears in the recent anthology Radical Hope: Letters of Love & Dissent in Dangerous Times. Her work has been published in LENNY, Buzzfeed, Signature, Brightly, Oxford American, East Bay Express, Denver Quarterly, and Joyland, among others. Her short story “Folsom, Survivor” was included as a “Notable Short Story” in Best American Short Stories 2011. As an educator, Kate has worked with a wide range of age groups for over 15 years. She taught Women’s Studies, Literature, and Creative Writing at UC Santa Cruz, San Jose State, Rhode Island College, and Brown University. She developed and led Creative Writing workshops for middle school students as part of AileyCamp, a youth program run by the Alvin Ailey Foundation. And she is the former Chair of the School of Literary Arts at Oakland School for the Arts, where she taught fiction, poetry, and journalism to 9th-12th graders for many years. Now, she shares the Rad Women books with students ranging from K-college on a regular basis. Kate is also a political organizer and frequent public speaker. She’s the founder of Solidarity Sundays, a nationwide network of over 200 feminist activist groups who meet monthly to take coordinated non-violent political action. She presents the Rad Women books and speaks regularly on radio programs and podcasts and at conferences and events, addressing everything from the importance of activism; the artistic process; children’s literature as a force for social change; anti-racist parenting; feminist thought and histories; our current political crisis; and more. Recent speaking engagements include talks at Google, Pixar, and the Joyful Persistence conference, where she spoke alongside Senator Elizabeth Warren. She has appeared on msnbc, NPR, Minnesota Public radio, and popular podcasts including Politically Reactive and Nerdette. Kate received her MFA in Fiction from Brown University, and a double BA in Women’s Studies/Creative Writing from UC Santa Cruz. She lives with her three cats, two kids, and one partner on the island of Alameda. She is represented by Charlotte Sheedy of Sheedy Lit. Miriam Klein Stahl is the New York Times-bestselling illustrator of Rad American Women A-Z, Rad Women Worldwide, Rad Girls Can, and the illustrated journal My Rad Life. She is a Bay Area-based artist, educator and activist. 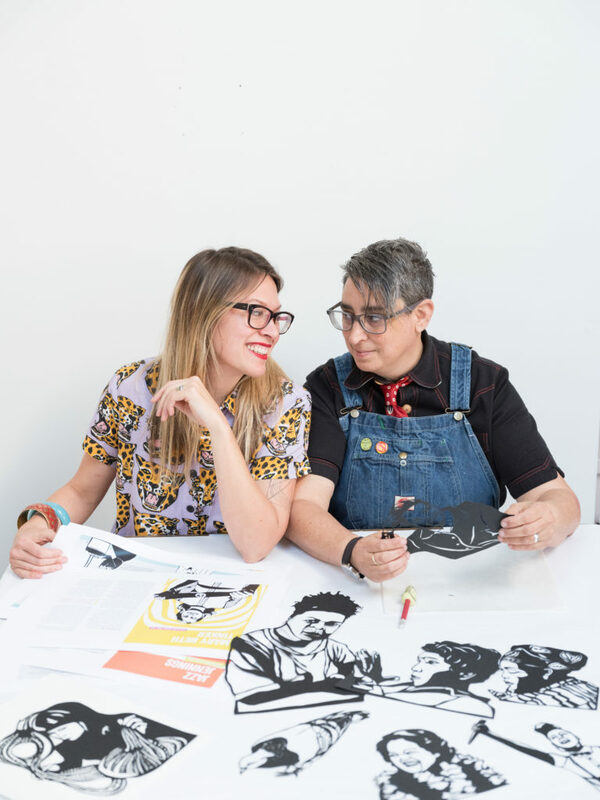 In addition to her work in printmaking, drawing, sculpture, paper-cut and public art, she is also the co-founder of the Arts and Humanities Academy at Berkeley High School where she’s taught since 1995. 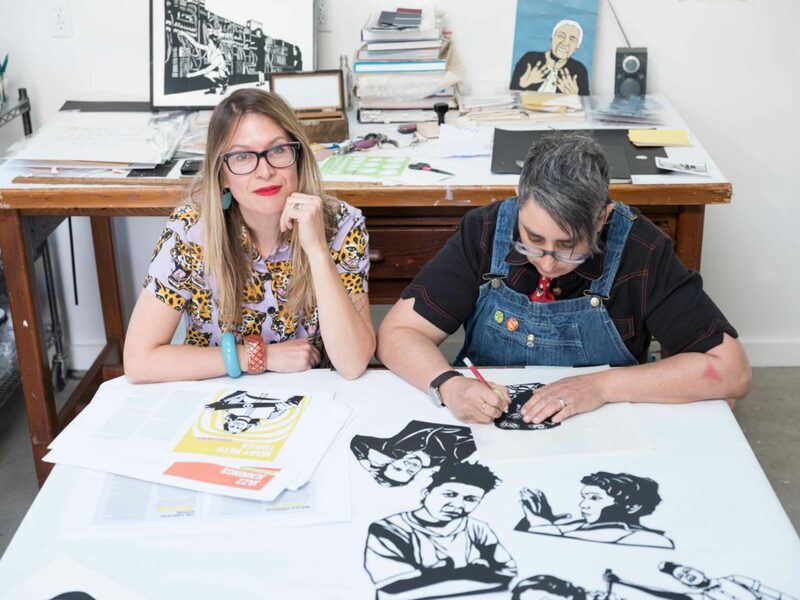 As an artist, she follows in a tradition of making socially relevant work, creating portraits of political activists, misfits, radicals and radical movements. As an educator, she has dedicated her teaching practice to address equity through the lens of the arts. Her work has been widely exhibited and reproduced internationally. She lives in Berkeley, California with her wife, artist Lena Wolff, daughter Hazel, and their dog Lenny.